Consumers’ 24/7 access to abundant product information has revolutionized the retail sector. With digital technology becoming pervasive, shoppers can make informed decisions using online data and content to find, compare, and purchase products from anywhere and at any time. 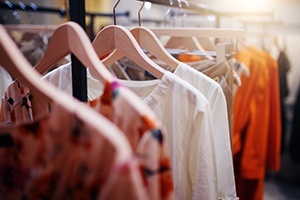 For brands and retailers, data is also a game-changer. It provides the ability to help companies stay abreast of the shopping trends by applying predictive analytics methods to reveal, interpret, and act on meaningful data insights, including online shopper and in-store patterns. Today, retailers attempt to find innovative ways to draw insights from the ever-increasing amount of structured and unstructured data available about customer behavior. Using this data, advanced behavioral predictions and clustering techniques can be used to determine ways to encourage each customer to change his or her spending. To get a sense for how predictive analytics is in a position of rescuing the retail industry from competitive forces, a new paper was presented at the International Conference on Management and Information Systems (ICMIS-16) entitled “How Predictive Analytics Is Changing the Retail Industry.” The authors of the research introduce and cultivate an important vision of predictive analytics as a new guiding principle for operating in today‘s tumultuous retail environment. Based on a customer’s purchase history, retailers can predict what the customer is likely to purchase next. Machine learning models are trained with historical data, which allows the retailer to generate accurate recommendations. In addition, a standard technique used by retailers called market basket analysis helps determine what products customers are most likely to purchase together. Using parallel computing architectures such as Hadoop and Spark, retailers can now analyze more data, which can lead to more accurate insights and smarter marketing decisions. Companies need to consolidate data, which will help in making informed business decisions using a single and trusted source of information about products and customers. Retail dashboards give a high-level overview of important competitive performance metrics, including pricing promotion and catalog movements. Using economic indicators and demographic data, retailers can recognize trends and better understand market demands and directions. Further, marketers are using what is called sentiment analysis, which helps them get a read on what consumers think or feel about their brand. They’re using sophisticated machine learning algorithms to determine context of social media posts, reviews, complaints, or other text-based content and then compile the data and use the insights garnered from it to predict the top selling products in a specific category. No matter how advanced technology becomes, the laws of supply and demand are unlikely to change any time soon. Predictive pricing analytics looks at historical product pricing, customer interest, competitor pricing (through processes like scraping the Web and monitoring social media chatter), inventory levels, and margin targets to set optimal prices in real-time that deliver maximum profits. In Amazon’s marketplace, for example, sellers who use algorithmic pricing benefit from better visibility, sales, and customer feedback. Listening to what customers have to say on social media is an important activity especially for the retail industry. Platforms such as Hadoop and Spark facilitate the analysis of huge amounts of unstructured data. Natural language processing (NLP) is used to extract information from social streams. Machine learning is then used to extract the signals and give the retailer an edge over competition. Social media is a source of insights beyond simple sentiment, and may also be used to determine demand and quality of customer service. But to be sure that these data points are authentic, a probabilistic process known as credibility analysis can be employed. Retailers face a spectrum of challenges in today’s hyper-competitive environment, and choosing the right solution is paramount to success. Opera Solution’s Signal Hub offers a unique value proposition that includes some of the most advanced analytics, as well as world-class data management capabilities, to work on problems important to retailers. The Signal Hub analytics platform generates customer intelligence, or Signals, and supports Signal reusability by adding a Signal Layer to the technology stack, allowing the retailer to not only predict future customer needs, preferences, and behavior with high accuracy, but also to quickly adjust factors that influence the customer journey. Signals that have demonstrated high value in driving business results live in the Signal Layer, where they are constantly refreshed based on changing customer behavior. Businesses that incorporate a Signal Layer into their tech stacks more effectively orchestrate the customer experience and transform routine interactions into long-term engagement. Download our infographic to learn more about how Signal Hub can help retailers better understand their customers and make smarter, more data-informed decisions. Georges Smine is VP of Product Marketing at Opera Solutions. This article was originally published at RetailTouchPoints.